In October of 2011 I found myself feeling down about the way I was looking and about other things that seemed out of my control in my life- like sleep apnea and having to use a CPAP machine at night. I even found that I was losing interest in doing fun things. At 54 years old I was getting tired of wearing black and tired of hearing my doctor tell me that I needed to lose weight to lower my newly elevated blood pressure and other new medical issues that seemed to pop up out of no where. I have a very busy life; I have a house and a husband and 2 children and I work full time- I take care of everyone and it seems like everything! Except me … After repeated efforts to try to lose weight by myself with no results I reached out to make that phone call to The Healthy Way. At my consultation it was determined I needed to lose 23 pounds to get to a healthy weight. The positive, supportive environment, useful tools and solid instruction on proper nutrition provided by the Healthy Way staff immediately made me feel that I was in great hands. I noticed a flyer about the vitamin B-12 shots available and decided what the heck, it can’t hurt. Wow! The very next morning I woke up feeling as if a cloud had lifted- I started noticing details again that had slipped away or had certainly taken a back seat. It felt wonderful and I felt hopeful. I followed the plan designed for me and made some recommended useful changes to my eating habits. I have to admit even with renewed hope I still felt that lingering doubt of the pounds not being able to come off now that I was in middle age. I would believe it when I saw it! Four months later I have lost the 23 pounds and a total of 46 inches overall!! My sweet husband calls me his “teenage wife”! A joyous and surprising additional positive result of just 23 pounds of weight loss enabled me to eliminate the need for the use of the CPAP machine and my blood pressure is right where it should be. 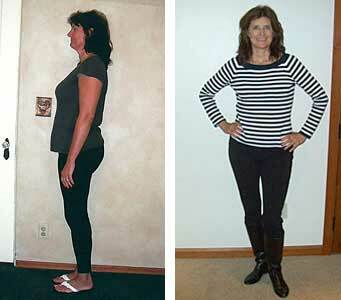 The ripple effect of eliminating excess weight is incredible on so many levels. I am so happy I gave myself the gift of renewed health- the Healthy Way. Lost 23 lbs & 46 inches!